We’re all used to forks in the trail. To a point we even expect them. As we approach, a brief pause and consultation with the map makes our decision clear. There’s a right way and a wrong way. One gets you to your destination while the other… gets you somewhere else. 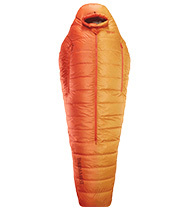 The forks in the road are (unfortunately) not nearly as clear when it comes to designing a sleeping bag. Every detail and decision has cost-benefit that all affect the value and performance of your gear. One of the crucial decisions when designing down sleeping bags or quilts is how to construct the baffles. Ever wonder why your down bag or jacket have those horizontal stripes? 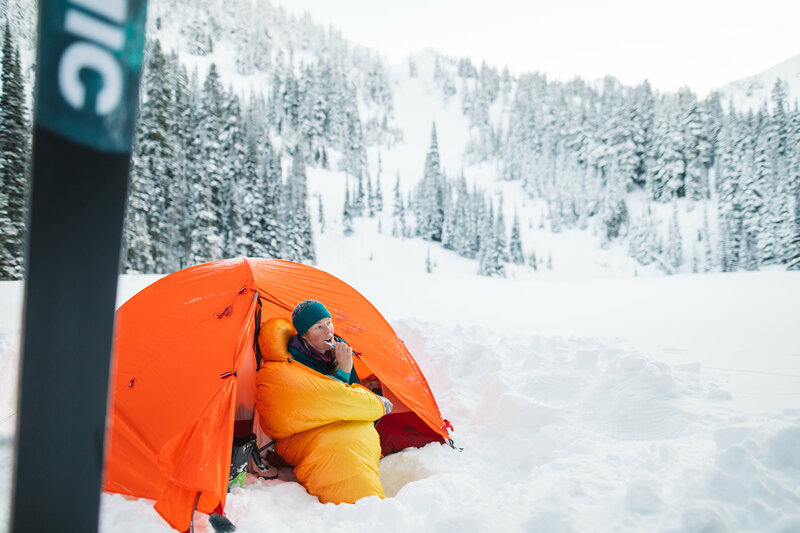 When building a sleeping bag or quilt, baffles are built into the product to keep down from shifting around and seperate the down fill. These baffles create a chamber and allow the down to fully loft which traps heat and keeps you warmer. There are two main types of construction that can be used with down products: sewn-through and box baffled. Sewn-through construction is both cheaper and lighter than box baffling. To separate the down, a seam is created with the shell and liner sewn together. This makes the baffles lightweight and simple to manufacture. However, since there is no fill at the seams, heat can easily escape between the baffles. Box-baffling, on the other hand, is much more complicated to make. To create a box baffle, a lightweight material is placed between the shell and liner to form a box. This box eliminates any gaps to eliminate cold spots and maximize warmth. Despite being more expensive and negligibly heavier, box baffling offers the creates the most efficient insulation. In all of our down sleeping bags, we elect to use boxed baffling in key areas. All of our products are predicated on helping you rest better by using the best performing materials with the highest level of design. 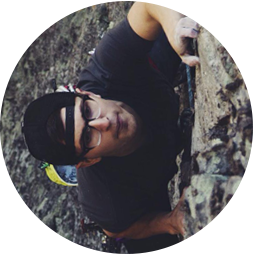 That means that even when we aim to build the lightest or most packable or value-packed gear, we know that the first priority is your comfort. Our sleeping bag baffle construction is yet another way that we make sure that you enjoy better night’s at camp. If you’re look for a box-baffled bag, our Fast & Light down bags are amongst the lightest in their class while our Trek & Travel bags are designed to meet the needs of any backcountry adventure. All of these high-performance, box-baffled bags all include our Better Sleep Guarantee.